You have 1951 characters. Don’t forget to add important and relevant keywords in your description to improve your iTunes app page and optimize your SEO. 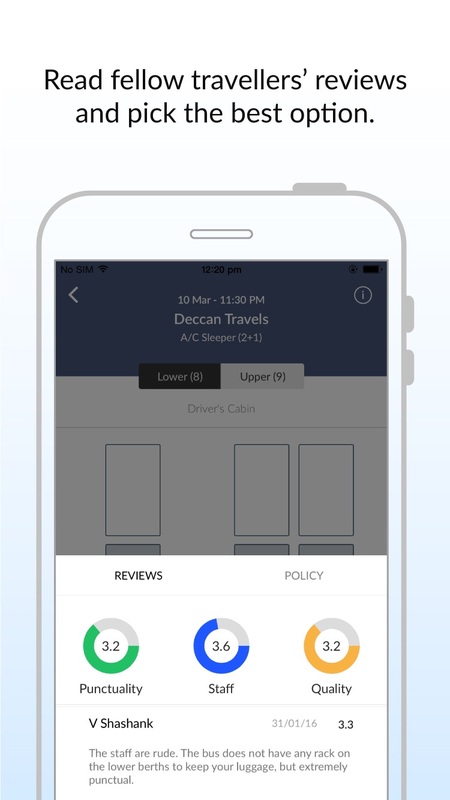 World’s #1 ranked and highest rated BUS booking app! 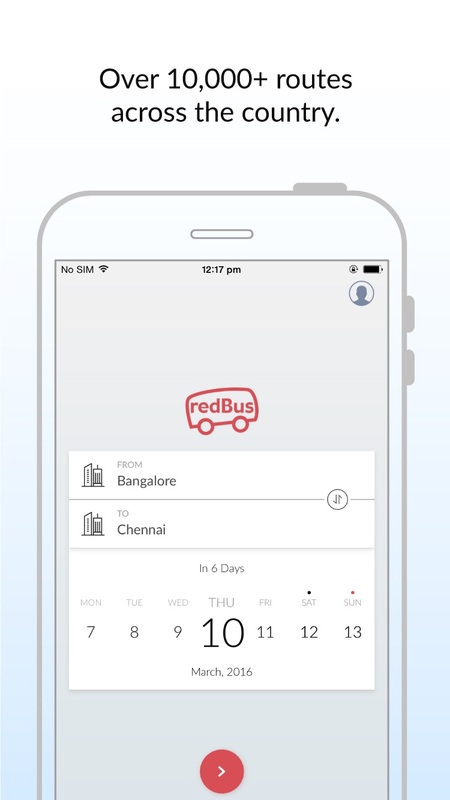 redBus is the world's largest online bus ticket booking platform, connecting various cities across the globe with just a click of a button. The official iOS app from redBus lets you search and book from more than 67,000 routes worldwide and choose from over 1,800 bus operators. Some of the popular routes booked on redBus are Bangalore to Hyderabad, Bangalore to Chennai, Hyderabad to Chennai, Mumbai to Pune, etc in India and Singapore to Kuala Lumpur, Kuala Lumpur to Singapore, Singapore to Malacca, Singapore to Ipoh, Kuala Lumpur to Ipoh in South East Asia. Some of the popular bus operators are VRL, SRS, KPN, Orange Tours, Neeta, Kallada, Kesineni, etc in India and Konsortium, KKKL, Kejora, Aeroline, Sri Maju Group, Transtar and Qistna, Billions Stars, Andisba, Antar Holiday, City Express, and J B Transliner in Singapore and Malaysia. The app provides you with timely and relevant tips to help improve your journey. Your transactions are 100% secure (SSL based) for payments made through credit / debit cards and net banking (based on your country). So start book your bus tickets through your mobile phone. 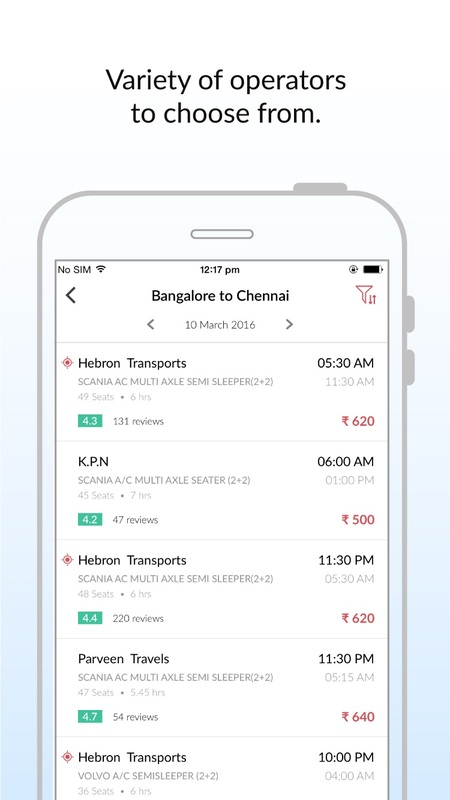 - Download past bookings from redBus to your iPhone. - You can call redBus support center for all travel related queries directly from the app. 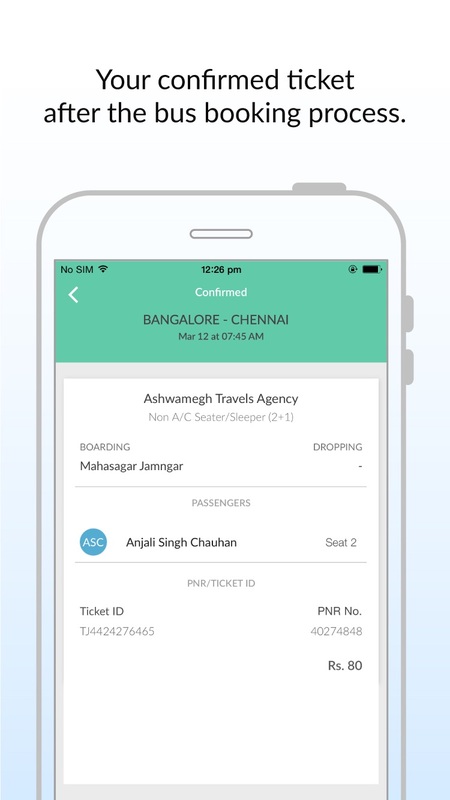 The fastest and easiest way to book your bus ticket online is here! Download the free app now.